Hans Kolbow was born on 8 January 1914 at Hamburg. Unteroffizier Kolbow participated in the Spanish Civil War with the Condor Legion as a fighter pilot. In November 1939, Kolbow was serving with 3./JG 20. During the French campaign, Kolbow would claim five victories, including his first on 12 May 1940, when he shot down a French Potez 63 twin-engine reconnaissance aircraft.  On 4 July, 3./JG 20 was redesignated 9./JG 51. In the aerial battles of the Battle of Britain, Kolbow would add a further three victories to his tally operating with 9./JG 51. 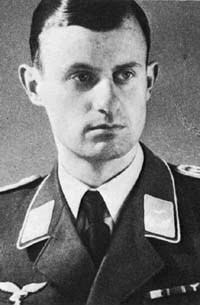 On 19 August 1940, Kolbow was appointed Staffelkapitän of 5./JG 51. He claimed a further five victories, including two RAF Spitfire fighters shot down near Dover on 26 August for his ninth and 10th victories, to raise his victory total to 13 by the end of the Battle of Britain. Oberleutnant Kolbow led 5./JG 51 to Russia where, on 25 June 1941, he claimed six Russian SB-2 twin-engine bombers shot down to record his 14th through 19th victories. On 3 July, in an engagement with Russian bombers, Kolbow’s Bf 109 F-2 (W.Nr. 12 804) “Black 1” was hit necessitating a forced-landing near Nowo-Hutkowo. Kolbow recorded his 20th victory on 29 June, when he shot down a Russian I-16 fighter. Kolbow was shot down and killed in Bf 109 F-2 (W.Nr. 8974) “Black 6” south of Stara Bychow by Russian flak on 17 July 1941. While he managed to bale out of his stricken aircraft, he was too low for his parachute to open and he plunged to his death. Kolbow was posthumously awarded the Ritterkreuz on 27 July. Hans Kolbow was credited with 27 victories. He recorded 13 victories over the Western front.